Because each dust catcher has its own characteristics and the system parameters so choose a suitable gas filter material must understand the following parameters:temperature, Humid degrees, Dust diameter, Gas Chemical Properties, Abrasive dust, dust catcher mechanical Solid.As cleaning manner,the condition of install ,ect.In general , our dust filter bag will be used industrial emissions,filter dust ,usefull dust , High-temperature gas dust and other dust filtration equipment.. Appropriate use of media, not only the need to consider filter chemical properties, also take into account the characteristics of dust. We can choose filter media by different physical and chemical methods of treatment according to the dust characteristics, To achieve the most effective filtration. Normal maximum continuous operating temperature is 204degrees. General applications for Aramid felt include: highly abrasive dust applications, electric arc furnaces, high temperature dryers, cupolas, and chemical applications where high temperatures exist. Aramid offers a good resistance to alkalis under most condition. Most mineral oxides cause degradation and partial decomposition. Aramid withstands common organic solvents very well. Some phenolic compounds cause solubility. The filter cage is the support of filter bag and it should be light and easy for installation and maintenance. The quality of filter cage has directly bearing on the filtering state and service life of a filter bag. Every cage we make can meet the requirement for tightness, smoothness and uprightness. 7. The diameter of the longitudinal wire can be Φ3mm, Φ3.2mm, Φ3.5mm, Φ3.8mm or Φ4mm. The vertical bar, horizontal ring, spacing ring, length, the diameter of the ring and the shape of the cage can be according with the requirement from client. 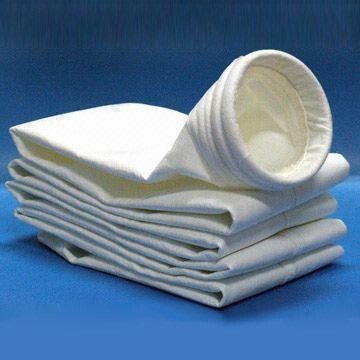 Please send us the dust collector filter bags or filter cages specification detail by email for quote, thanks.